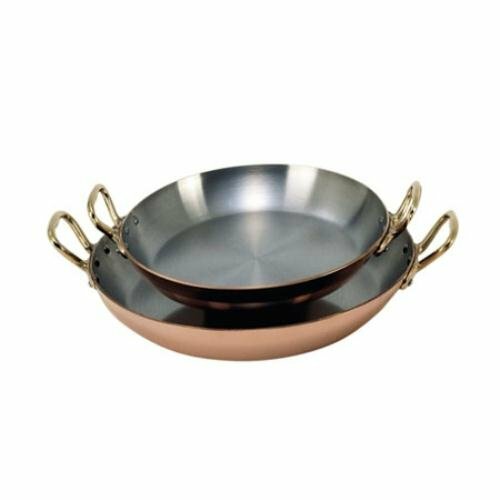 Round dish with 2 brass handles made of 90% outer Copper and 10% inner AISI 304 stainless steel high-end mirror polishing perfect for cooking eggs, making gratin and creme Brule enables an elegant display on the table riveted solid brass handles French-style curvature for all cooktops except induction made in France. If you have any questions about this product by De Buyer, contact us by completing and submitting the form below. If you are looking for a specif part number, please include it with your message.